Black sapote is a unique tropical fruit. 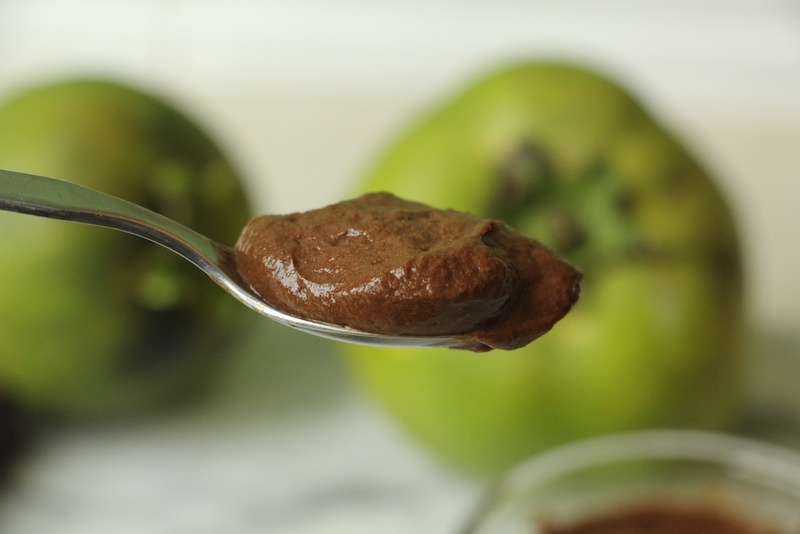 It’s often called “chocolate pudding fruit” because the pulp is the color and texture of chocolate pudding. It’s a type of persimmon native to Central America. They grow in Florida, and you can find them at farmer’s markets from December-March. 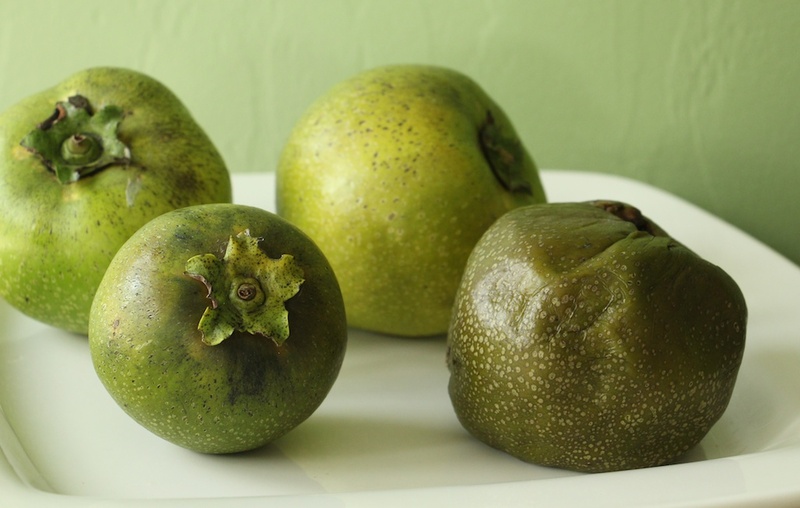 The black sapote is bright green when picked, ranging in size from an orange to a grapefruit. It’s completely inedible until it turns olive green on the outside and feels very soft, like a marshmallow. Inside it’s silky smooth with a mild, sweet taste. It may have a hint of chocolate, or maybe that’s expectation. 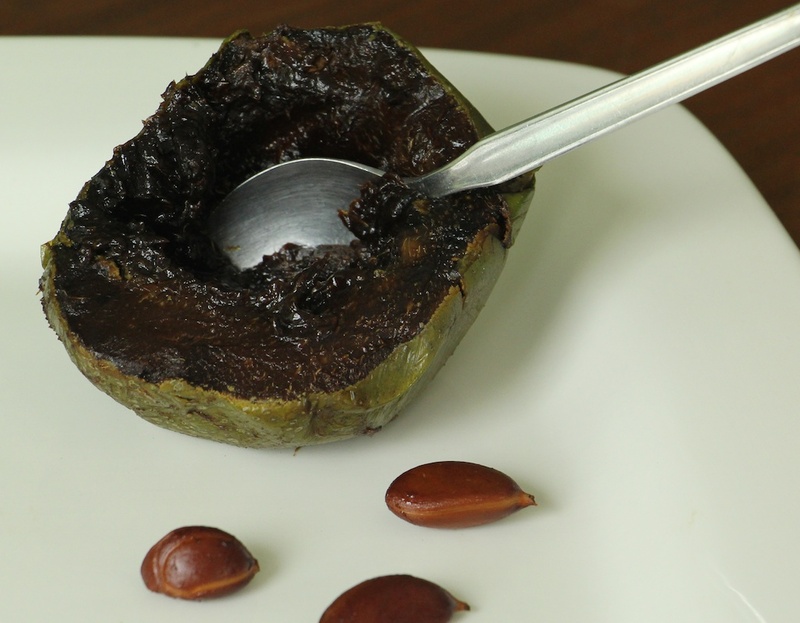 I think eating a black sapote alone is a novelty. 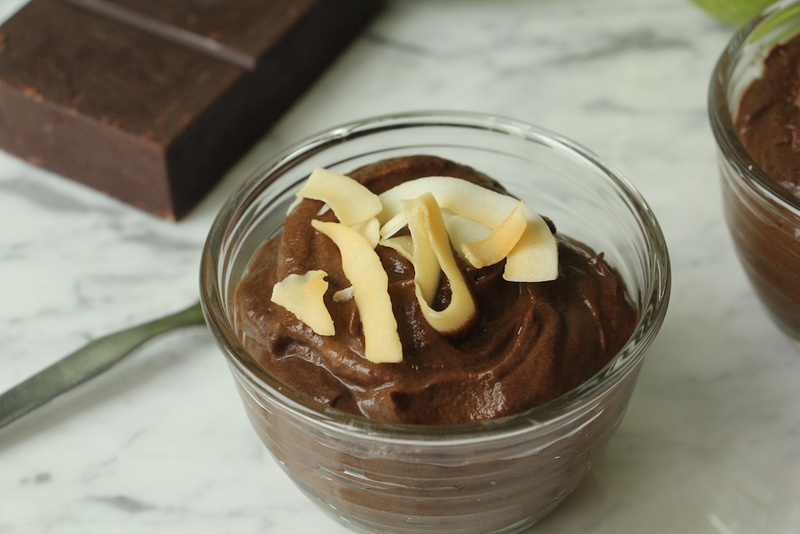 But whip it up into chocolate mousse and you’re in for a real treat. 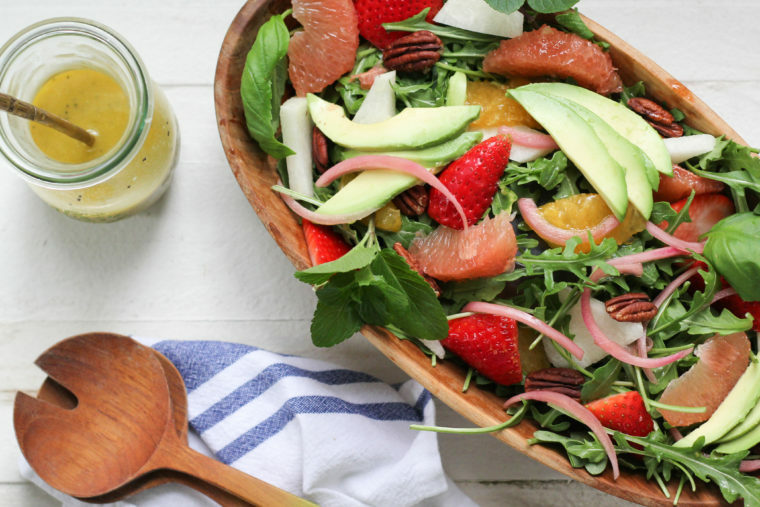 Place a large metal bowl and the beaters from a hand-held mixer in the freezer for at least 30 minutes. Slice the black sapote in half. Remove the seeds and the membrane around the seeds. Use a spoon to scoop out the pulp. Remove the coconut milk from the refrigerator, being careful not to shake it. Open the can. Use a spoon to scoop out the firm coconut cream from the top, usually about half a cup. 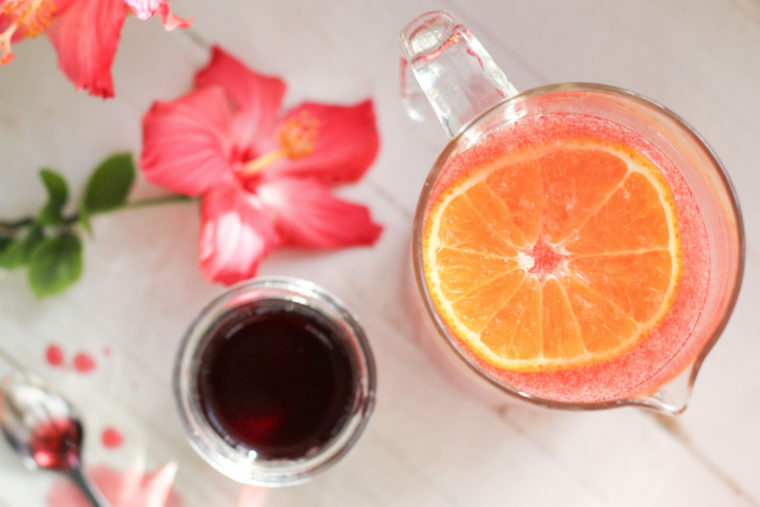 Leave the liquid at the bottom and reserve it for another use. 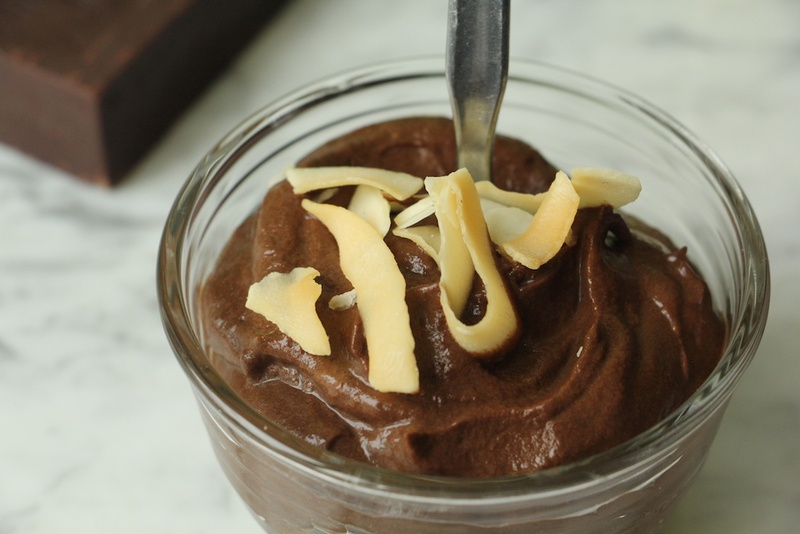 Combine the black sapote, coconut cream, cocoa powder, powdered sugar, vanilla and salt in the cold metal bowl. Beat with a hand-held mixer on low for 30 seconds. 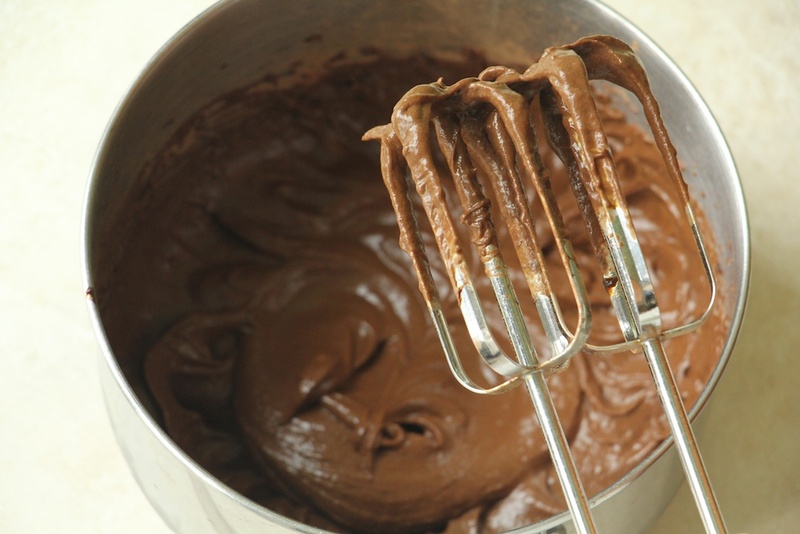 Slowly increase the speed and continue beat until the mixture becomes very smooth and light, about 3 minutes. 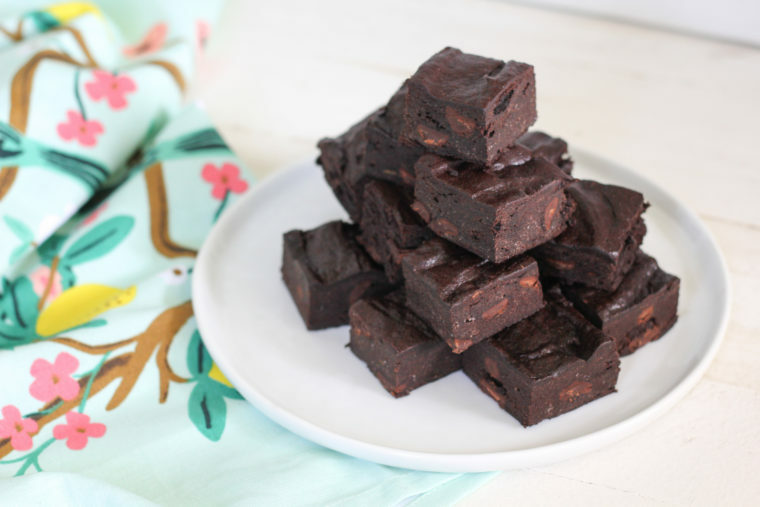 Top with coconut chips or shaved chocolate, if desired. Best eaten within 24 hours. Sounds delicious. 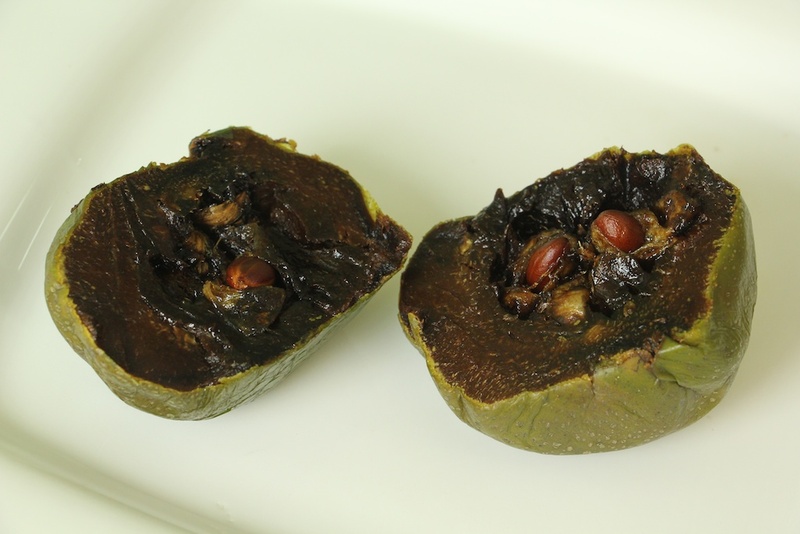 I tried a black sapote for the first time last year and loved it. I bought a tree and patiently wait for fruit in a few years. Hi, Lynne! I’m not surprised you’ve added black sapote to your collection. Our neighbors allowed us to pick these because the fruit was dropping all over the driveway. 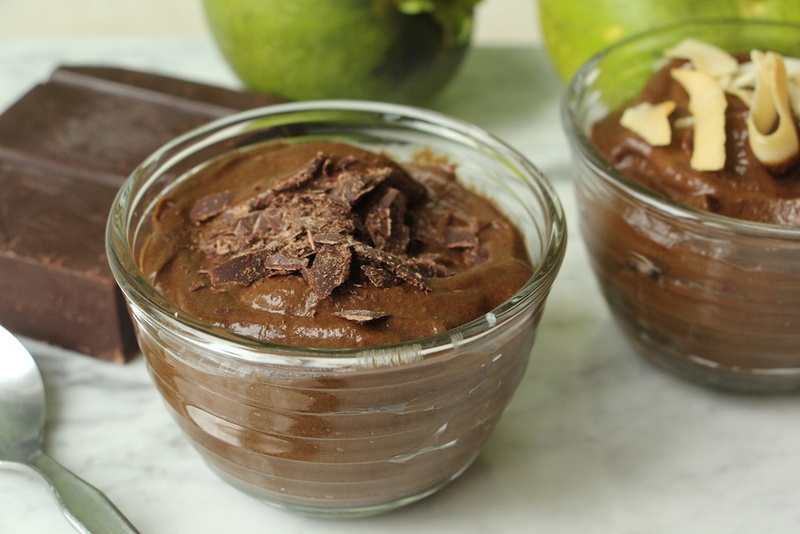 One day you’ll be making lots of chocolate mousse. I did make this with the Black Sapote given to me. Called some friends about bringing it over to them to share for desert that night. Ally had to go into town but her husband said yes. When we, arrived at their door, no answer despite ringing the bell and knocking so we took our 4 pretty little mousses home and ate one each. But then after about ten minutes, we looked at each other and worried that the other two mousses would get lonely or go bad so we had to eat them too. It was glorious.